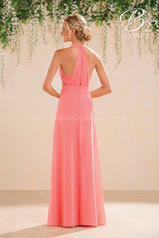 The featured color in this style is Coral (CR). The Skirt length is Floor length. Available in tea(30") or knee(25") length..